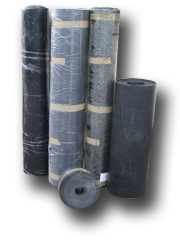 We are suppliers of Metroseals' fluted standard and electrical matting. All rubber mat flutes or ribs are orientated along the roll. Ideal applications include horse boxes, industrial flooring and metal shelf lining. All matting can be cut to length. For further information please contact Trevor on 01733 894949. The table below details the main types of fluted and ribbed rubber matting which we supply. Thicknesses range from 3mm to 12mm and rolls of upto 10m. Standard matting is available in black, although for some products a variation in colour is available up request. All fluted & ribbed rubber matting has a cloth impression backing. We supply the following electrical switchboard matting from Metroseal.